“Follow the Gulls” to the East Coast Scenic Shortcut! 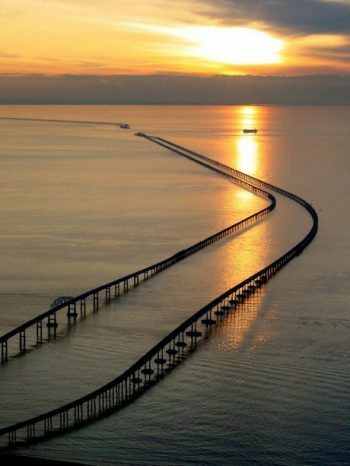 Recognized as one of the seven engineering wonders of the modern world, the Chesapeake Bay Bridge-Tunnel spans the mouth of the Chesapeake Bay and connects Virginia’s Eastern Shore with the mainland in Virginia Beach. 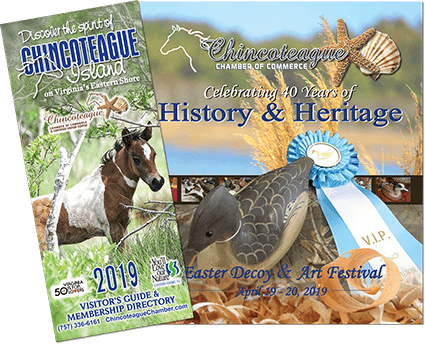 Offering beautiful views of the Chesapeake Bay, this toll facility includes a series of low-level trestles, four manmade islands, two underwater tunnels and two bridges. The facility is “tunneling forward” as construction is underway for a parallel tunnel at Thimble Shoal Channel. Once complete, this new tunnel will carry two lanes of traffic southbound and the existing tunnel will carry two lanes of traffic northbound. A scenic overlook, located on the northern end of the facility near Wise Point, offers the perfect vantage point to photograph this engineering marvel and enjoy the natural beauty of the area.